From opium in Stone Age Europe to petrol sniffing in Aboriginal Australia, intoxicants have played an important part in societies all over the world. 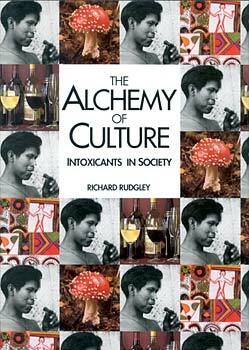 In this thought-provoking book Richard Rudgley shows that 'magic mushrooms' in Siberia and New Guinea, the mysterious soma/haoma plant in ancient India and Iran, and yaje, peyote and tobacco in the New World have all had a central role in religious or social life, and that the altered states of consciousness produced by each intoxicant are shaped by cultural values. The book also explores the use of psychoactive substances in European witchcraft, and the role of scientists, poets and artists in introducing new hallucinogens, such as mescaline and LSD, into the West. A final chapter looks at the social aspects of milder stimulants, including coffee, tea, betel, qat, cola, coca and pituri, showing that their significance extends beyond the simple pleasure of the individual to the religious, economic, political and sexual life of communities. It is perhaps only in our own Western culture that socially accepted intoxicants and stimulants, such as alcohol, tobacco and tea, are used in an almost exclusively secular way and are devoid of any spiritual meaning. Richard Rudgley is currently undertaking doctoral research on the oasis communities of Chinese Central Asia at the school of Anthropology and Museum Ethnography, University of Oxford.